In the early 1970's Silver Oak Cellars began with a simple philosophy to focus production on one varietal, Cabernet Sauvignon. This philosophy also encompassed the idea that Cabernet Sauvignon should be fully developed with a velvety soft texture on the day it is released for sale. This led to an extensive aging program where the wine is aged 24 to 30 months in American oak barrels, then cellared another 18 months in the bottle. Our Cabernets are allowed to fully develop a vivid bouquet and softness that comes from lengthy bottle age. Silver Oak Cellars produces Cabernet Sauvignon from two appellations, Napa Valley and Alexander Valley and is consistently America's #1 most requested Cabernet Sauvignon. Allow us to host you at one of the Napa Valley's most iconic wineries. We welcome our Napa Valley Neighbors and a guest for a complimentary tasting of our wines. Please join us Monday through Thursday from 10am to 4pm. Silver Oak is certified under the Napa Green Winery Program by the Napa County Department of Environmental Management (DEM) and the Association of Bay Area Government’s (ABAG) Green Business Program and completed all the regulatory components needed for environmental sustainability. These components included developing water and energy conservation methods, preventing pollution, and reducing solid waste. In addition to developing sustainable winery practices, this program is set to become the standard for the state of California. Silver Oak is certified under the Napa Green Certified Land Program. 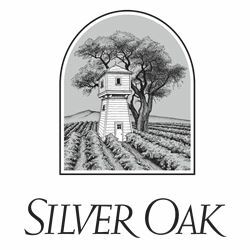 Silver Oak has created and implemented a customized farm plan with measured results that addressed all aspects of its property, vineyard land as well as non-farmed land, including practicing soil conservation, water conservation, stable drainage, riparian corridor enhancement, fisheries and wildlife habitat enhancement and long-term improvement and sustainability.